We have an exciting roster of events upcoming at the MHRC! 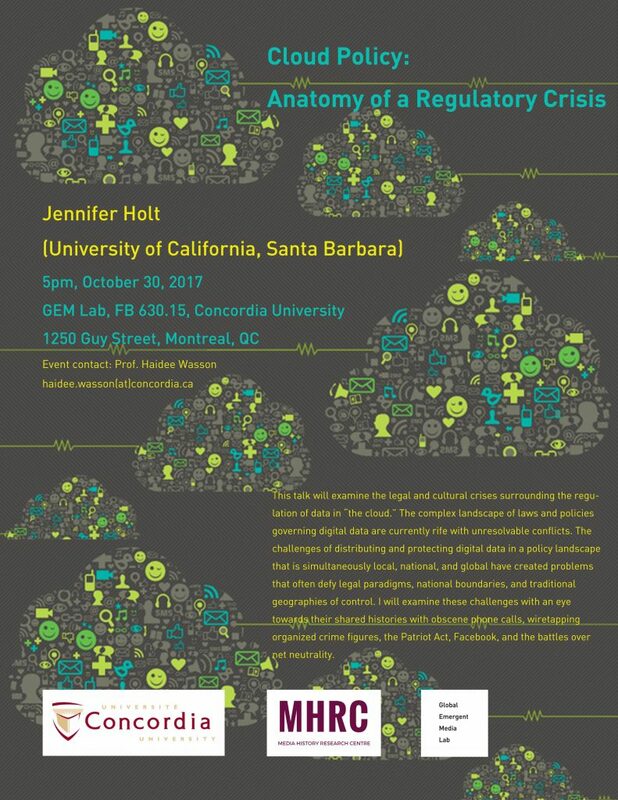 Jennifer Holt will examine the legal and cultural crises surrounding the regulation of data in ‘the cloud’. The challenges of distributing and protecting data in a policy landscape that is simultaneously local, national and global has created a set of problems that defy legal paradigms, national boundaries and traditional geographies of control. Jennifer will examine these challenges with emphasis on a history of obscene phone calls, wiretapping of organized crime, the Patriot Act, Facebook and battles over net neutrality. Examining the conceptual and practical affinities between liberalism and the idea of “free flow of information” on the Internet. 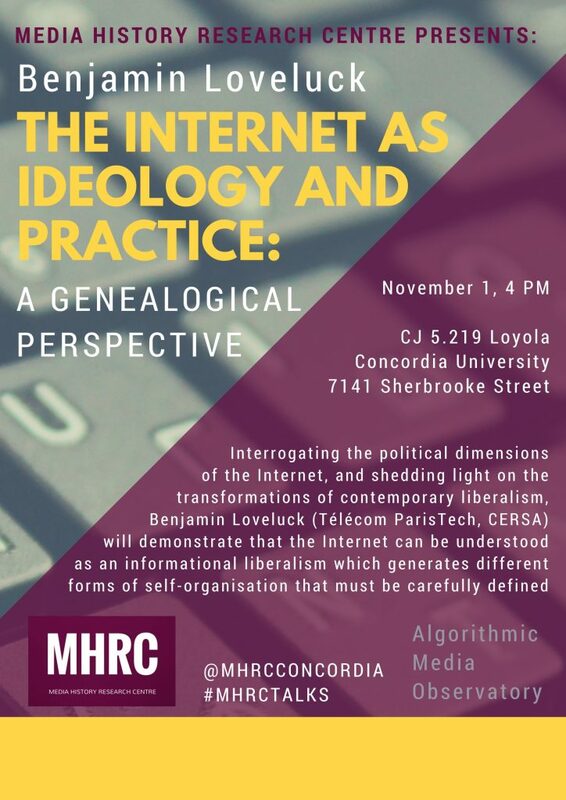 Benjamin Loveluck presents a framework for understanding the political dimensions of the Internet, as well as shedding light on the transformations of contemporary liberalism, and showing how the two issues are closely related. 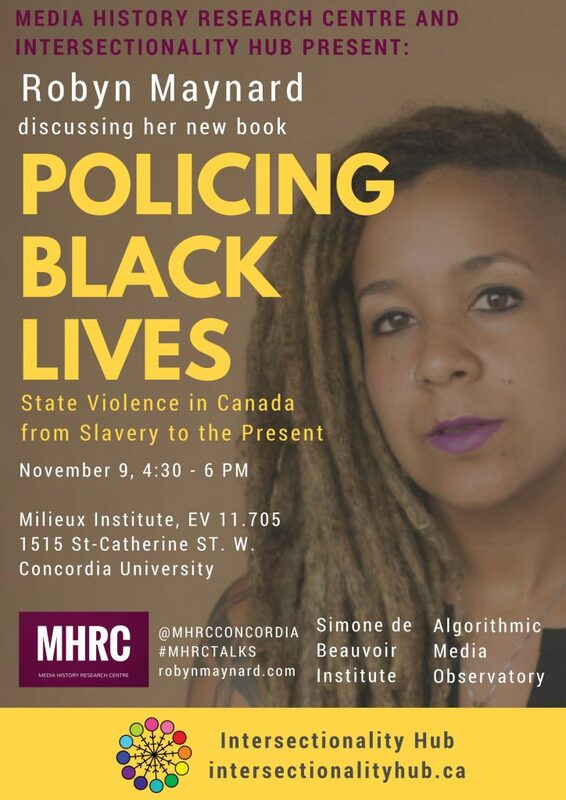 Laying bare the violent realities behind Canada’s veneer of multiculturalism and tolerance, Policing Black Lives traces four hundred years of state-sanctioned surveillance, criminalization and punishment of Black life in Canada. Through an unapologetically intersectional, feminist and abolitionist lens, this talk looks at how slavery’s legacy has been carried forward by the state, exposing the social and historical forces behind carding/street checks, the war on drugs, the school-to-prison pipeline, welfare “fraud” and child welfare enforcement, deportation, and the disproportionate incarceration of Black folks in Canada’s jails, prisons, and immigration detention centres.